began piano lessons at the age of five; gave his first recital at the age of seven; was an honor graduate of The High School of Music and Art; was a scholarship student for his entire course of study at The Juilliard School, where he was awarded his B.S. and M.S. degrees in Piano and received his Ph.D. in Performance from New York University and The Manhattan School of Music. He has studied under such world-famous pianists as Mitchell Andrews, Jane Carlson, Mieczyslaw Munz and Artur Balsam. 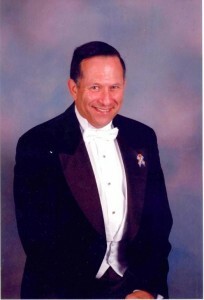 In 1999, the University of Florida awarded Dr. Sharon the title of “Distinguished Educator.” Currently, he is on the Music faculty of Palm Beach Atlantic University and is Founder and Artistic Director of The Robert Sharon Chorale, a community chorus in West Palm Beach.